We’re four weeks down already! 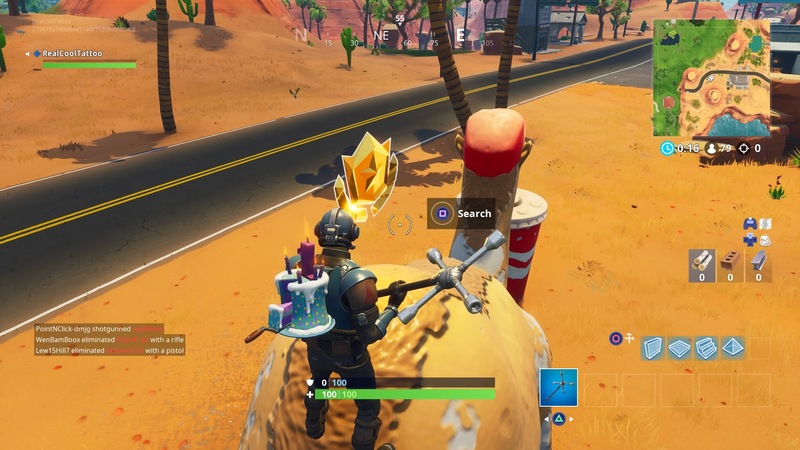 Here’s where to find all of the Road Trip secret hidden Battle Stars, separated week by week. 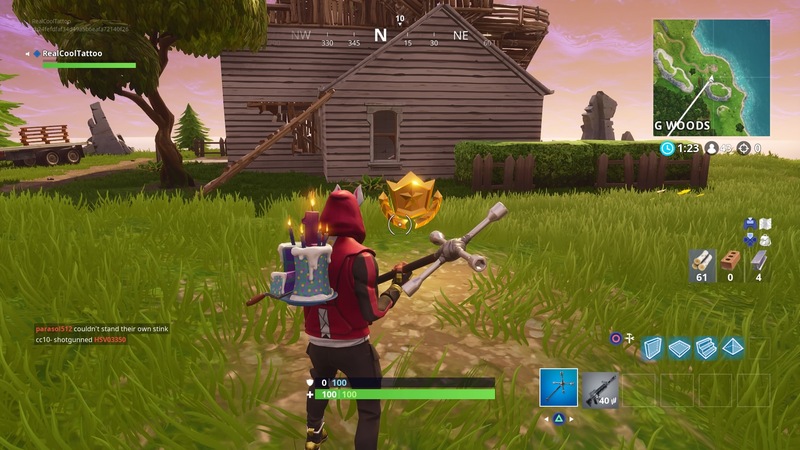 Running parallel to the rest of the tasks in Fortnite Season 5, there’s an extra special goal waiting for you at the end. Once you’ve completed all of the challenges in a week, you’ll unlock a special loading screen. 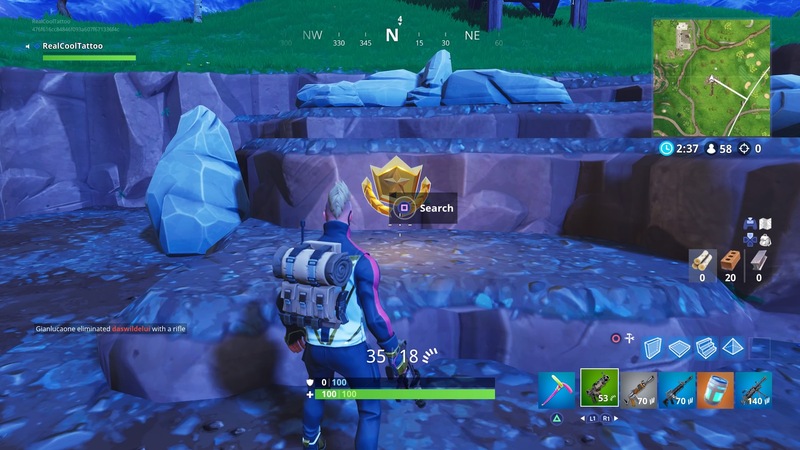 Somewhere on the loading screen will be hidden directions to a secret Battle Star which gives you ten bonus Stars towards your Battle Pass progress. This star will only appear once you’ve completed all seven challenges from a week. Once you’ve completed seven, you’ll unlock a new exclusive skin for your collection. 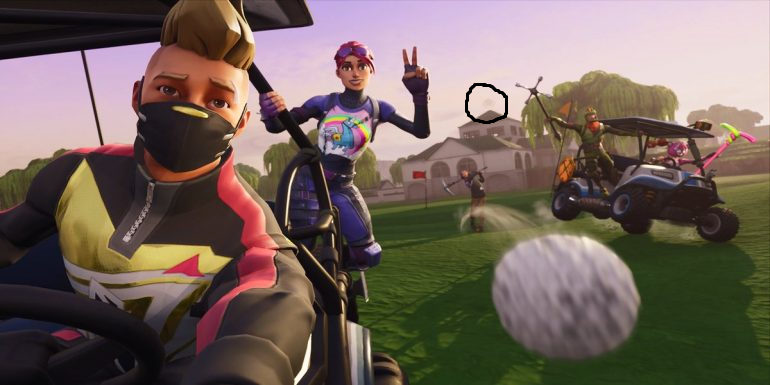 In the first week, you’re headed to the west of the new location Lazy Links. On the map you’ll see an umbrella shaped ditch in the ground. On the northern tip of the umbrella – up on a small ledge – is where you’ll find the Battle Star. Once you’ve completed all of this week’s challenges, there’s still plenty to do. Why not find an ATK and take it for a spin. Or work on grinding out XP to level up your Drift and Ragnarok Skins.